Welcome a sun bear into your family, class, club or corporation by adopting a sun bear. 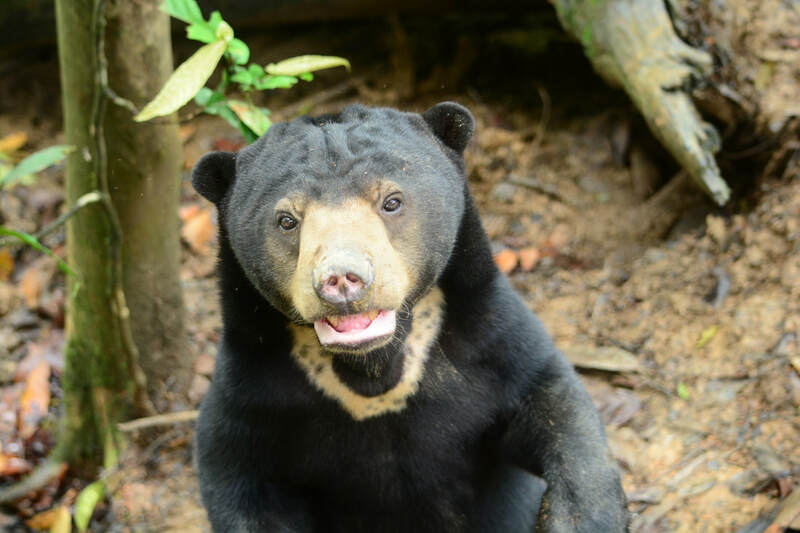 Adopting a bear into your family, business, or classroom is a great way to learn about sun bears while helping BSBCC meet the costs of rehabilitation. MYR 600 per month or MYR 7200 per year. Funds raised by the adoption program are used to better the lives of all bears. Email info.bsbcc@gmail.com for more information. Choose a bear below to take into your heart. 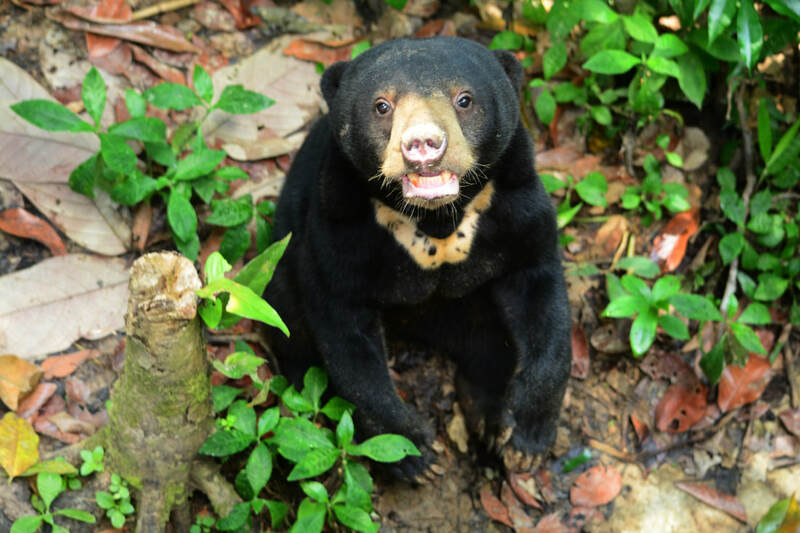 Mary is a friendly and playful sun bear, but can be a little grumpy. She likes to spend her time during the day resting under the shades of trees in the forest enclosure. Her natural sun bear behaviour has improved since she started socializing with other sun bears at the Centre. Kala arrived BSBCC in January 2015. She is an active and gentle bear that knows how to defend herself in uncomfortable conditions. She has been progressing well with her forest skills and exploring every patch of the forest. Montom was kept in a chicken wire mesh and fed with human food. When he arrived at BSBCC, he did not know how to be a wild bear. Now he is becoming a very brave and playful bear. Fulung was taken as a house pet by a villager who found him in the forest before he arrived at BSBCC in August 2010. He is a cheerful bear that knows how to charm his way around the females in hiss group. Fulung loves exploring the variety of food available in the forest enclosure. Why not buy a gift with meaning? 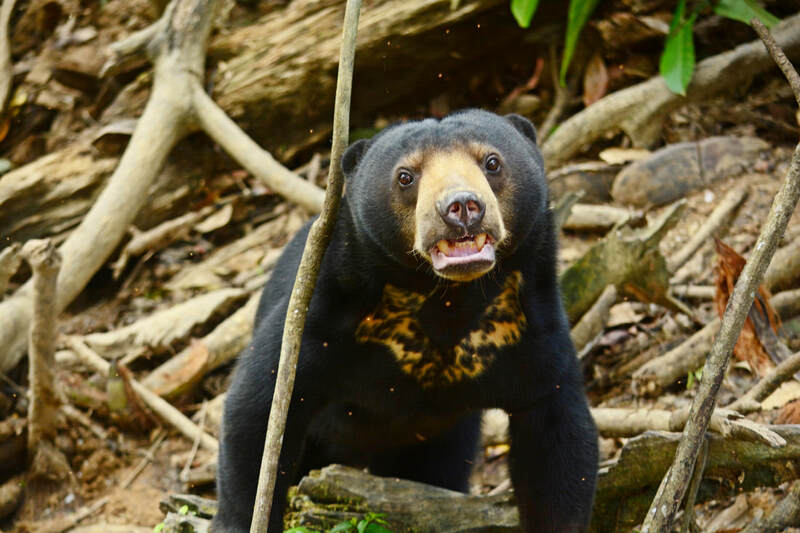 With your help, we can provide sun bears with food and supplies to stimulate their mind, enrich their lives and encourage normal bear behaviour. Buy a pot of honey for a sun bear. They are locally known as 'Beruang Madu' (in Malay) or honey bears, sun bears love eating honey. Help bears relax in a comfortable hammock. Sun bears are the most arboreal bear species and nocturnal, resting during the day on low tree branches. Before coming to BSBCC they have often been kept in small cages. You can help them learn to sleep naturally again. Buy an enrichment toy for a deserving sun bear. Sun bear cubs start playing from between 1-3 months old, and the toys also provide great enrichment for the rehabilitation of older rescued bears. Feed a sun bear for one week. Sun bears are omnivores, feeding primarily on termites, ants, beetle larvae, bee larvae and honey, as well as a large variety of fruit species including coconuts, bananas and especially figs. Keep a bear healthy with medication for a year. Rescued bears require close medical attention throughout their rehabilitation, including regular vaccinations and health check-ups. *Any purchases of Gifts With Meaning over MYR 300 and above will receive a complementary sun bear gift.